Yes, it’s come to the world’s laziest pizza ordering ever. And boy, are we geekily excited. Come on, admit it, who hasn’t wished during a maxed-out gaming session that they would have food magically appear without having to cook it? 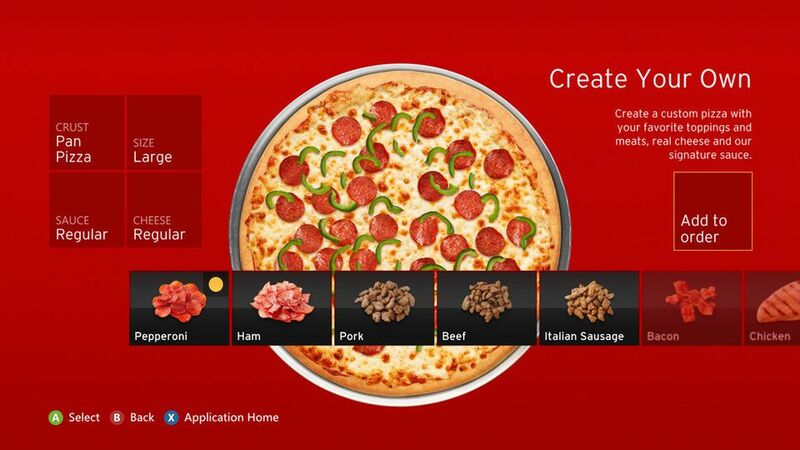 Pizza Hut’s entire menu will be available and you’ll even be able to create your own pies. Users will be able to link their Xbox and PizzaHut.com accounts and save their order settings to make future purchases easier.